The cruise season in St. Lucia runs from October to April. 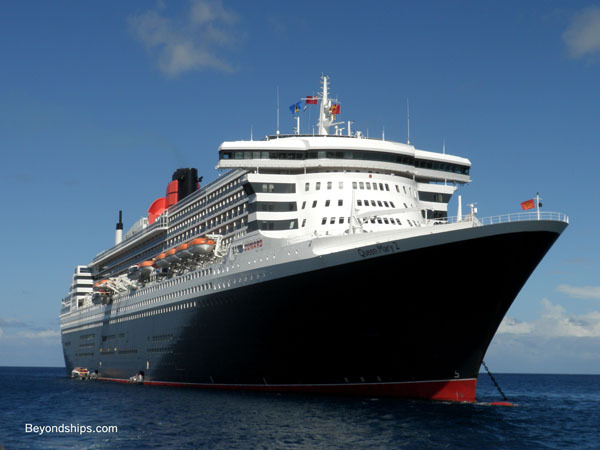 During that period, as many as five cruise ships a day may call at Castries. Some 600,000 cruise passengers visit Castries each year. 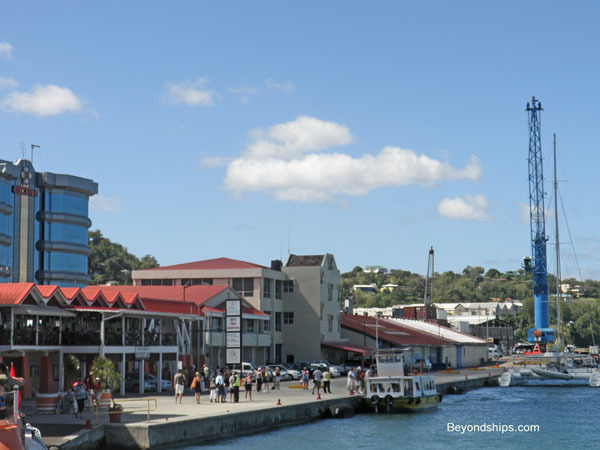 There are two places where cruise ships dock in Castries. Pointe Seraphine, on the north side of the harbor, is a dedicated cruise ship facility. Surrounding the terminal building at Pointe Seraphine is a village of shops. Several of these are branches of stores you find in the more developed Caribbean cruise ports. Many offer duty free items. If you are looking for local culture, however, you will have to go into downtown Castries. This is about a 20 to 30 minute walk along the edge of the harbor. You may well encounter local vendors along the way. Alternatively, a water taxi runs between Pointe Seraphine and the other place where cruise ships dock in Castries, La Place Carenage. 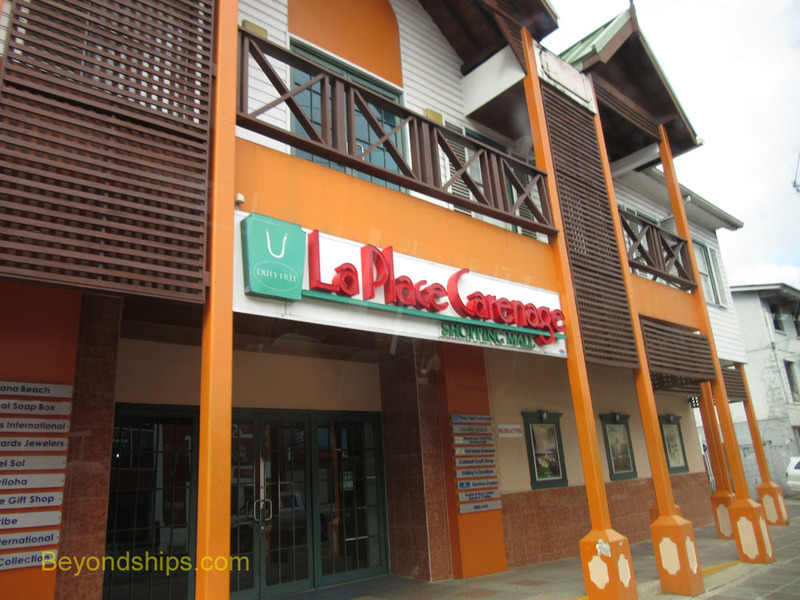 Opening in 1996, La Place Carenage was created to serve the cruise ships docking at the multi-purpose Queen Elizabeth II dock on the south side of the harbor. As at Pointe Seraphine, there is duty free shopping at La Place Carenage. It has a three story shopping mall that includes facilities for dining and entertainment. La Place Carenage is in the center of downtown Castries. It is just a short walk to the local public market. Ships that are too large or which have too deep a draft for Castries harbor can anchor outside of the port and tender passengers ashore. Tender boats usually dock at the Queen Elizabeth II Dock by La Place Carenage. Some small cruise ships tender passengers ashore elsewhere on the island. Above: La Place Carenage and the Queen Elizabeth II Dock. Below: The duty free shopping mall at La Place Carenage.